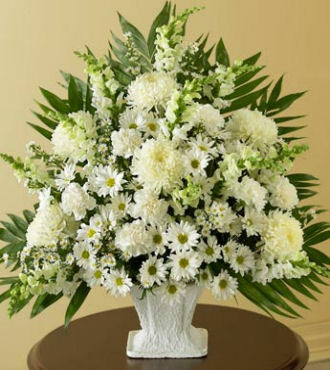 Elegant White is a mixture White Football Mums, White Asiatic Lilies, Snap Dragons and more with assorted greens. 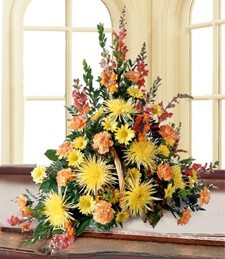 A elegant fall color spray warms the heart a of friends and family member. This spray is talk about for months after the funeral. Elegant Pinks for Her. 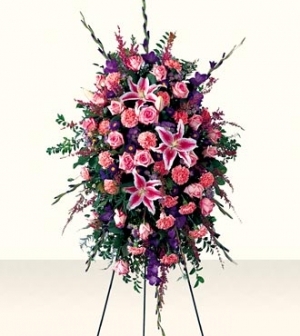 This beautiful spray adorned with pink carnations then centered with star gazer lilies and pink roses and purple aster, with pink gladiolus and mixed greens speaks volume. 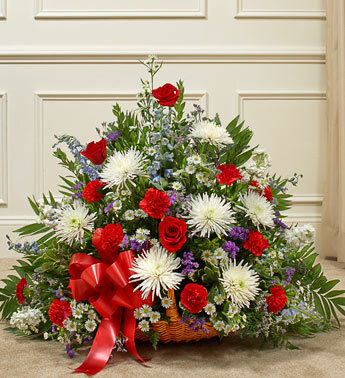 Makes the gift for the home or to sit on a table at the funeral home. Satin Pillows gives you the chance to say what your heart is trying to convey. 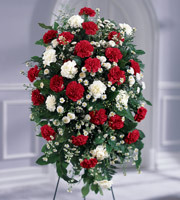 The pillow will always be White (or Ivory) if available and you choose the color of and type of flowers you desire. 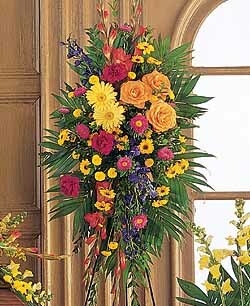 Satin Cross gives you the chance to say what your heart is trying to convey. 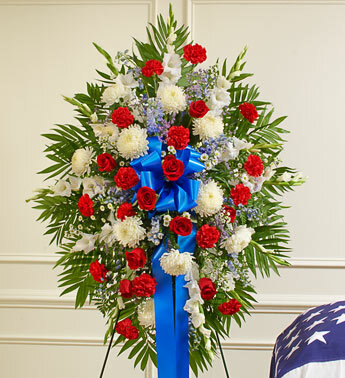 The cross normally made of white satin and will be placed in the lid of the casket for all to see. 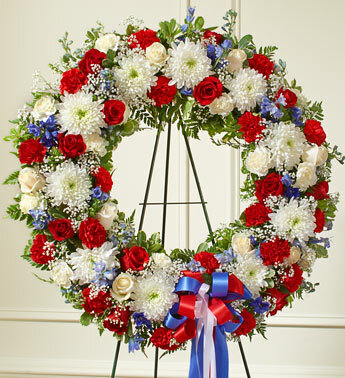 who served our country in war. filled with white Monte casino and assorted greens. 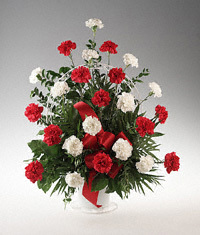 This lovely basket of red and white carnations will convey a message of love and sympathy. your heart is trying to send. 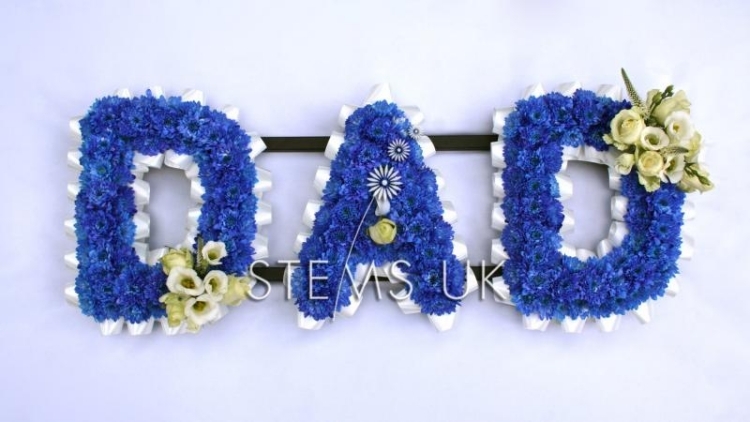 WE ARE PROUD TO OFFER LETTERS TO SPELL A WORD LIKE "MOM" "DAD" "AUNT" or even a "PERSON's NAME"
The letters are cut invidually out of styrofoam and then place on stand.They arrange in size from 20 inch tall and 15 inch wide. 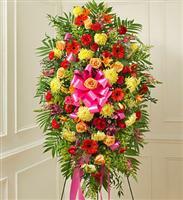 You choose the name, color, rather you want Silk or Fresh Flowers andleave the rest up to us! 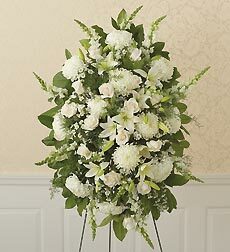 "Flowers Convey What The Heart is Trying to Say"
This Standing Spray of all white will convey those special words. Color Bow your choice. 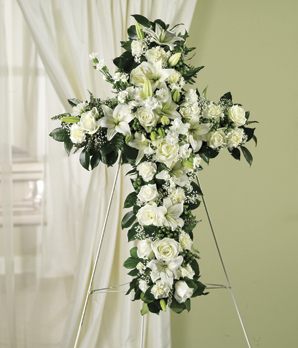 How elegant is this Cross of all white lilies and rose to convey that special message. 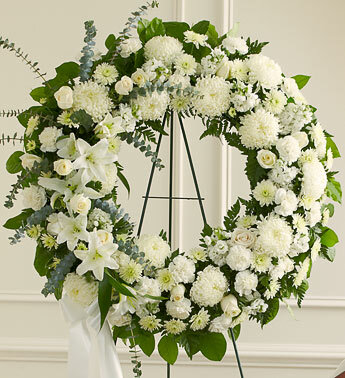 This elegant Wreath will touch the hearts of all whom see it. 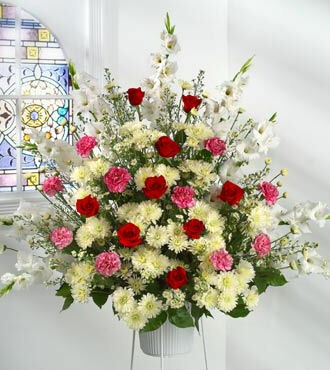 Red Roses, White Glads just have a unique way of conveying that special message. 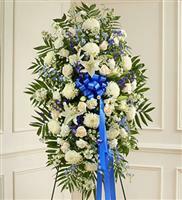 Stand not available, arrangement will set on pedestal or table at the funeral home. What a lovely fireside basket. 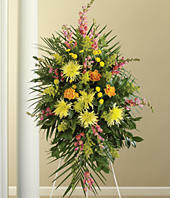 Great for funeral home or to go the the home. Elegant whites! 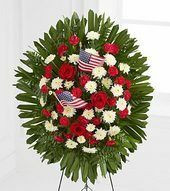 Designed in a paper mache this beautiful white arrangement can be placed on stand will draw family and friends to look. Also can go home to be enjoyed by family for days to come.